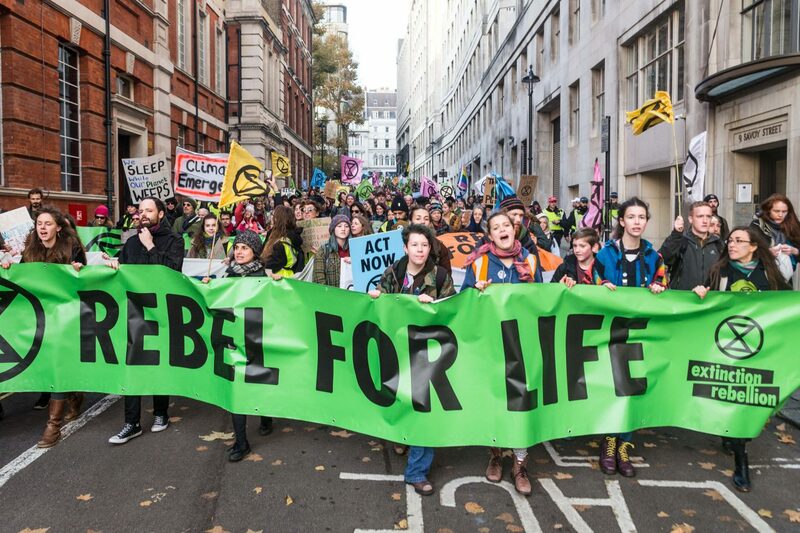 Climate protest has a new headline act, and its name is Extinction Rebellion. Seemingly from nowhere, ER is gathering attention and supporters at breakneck speed, and is unusually straightforward about the state we’re in. Hanging a ‘CLIMATE CHANGE – WE’RE F*CKED’ banner off Westminster bridge kinda straightforward. Far more interesting than its sweariness though is the movement’s focus on civil disobedience. ‘Join us, and be prepared to get nicked’ seems to be the recruitment mantra, and it’s working. Thousands of people are showing up, hundreds have now been arrested. Best of all Jim Davidson is cross. So will it work? Who’s it trying to appeal to? What will happen next? Are these details even important when people are – not a minute too soon – getting seriously aggy about the planet?